Well, I've hopped back on the Pixel Scrapper Blog Train scene. I know! It's been a while, hasn't it? I'm running a little late so I'll cut the chit-chat and get on to the business. Here's my portion to the train entitled Umbrella Weather. Hello all! I know I've really been out of the loop for a while. I apologize. 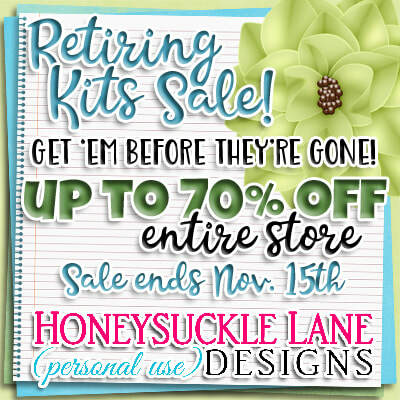 I just wanted to let you know that I will be retiring a large portion of my kits in a few weeks. They have been drastically reduced so that you can pick up any you have been watching before they're gone forever. I do have several new kits in the making - I just need to finish them up. I'm also hoping to be hit with a great deal of inspiration to bring you more. Please, go check out the sale before it's over. Thank you so much for continuing to check in with me here and on Facebook. Here we go! The new Paris New York blogtrain is leaving the station. The train's theme is "It's Time for Ice Cream". Please note: It will be on track for just seven days. The trip will come to the end of the track on June 21st. You will find the links to my portion of the train below. Have some ice cream and enjoy your journey. It's that time again for the next Paris New York blogtrain. The train's theme is "Boys' Hour". Please note: It will be on track for just seven days. The trip will come to the end of the track on April 21st. Below you will find the links to my portion of the train. Have fun on your journey today! Here it is Ladies & Gentlemen - the next Paris New York blogtrain. The train's theme is "Welcome to London". Please note: It will be on track for just seven days. The trip will come to the end of the track on February 21st. Below you will find the links to my portion of the train. Enjoy your journey today!